I have an SP1000 and a Convert. I like the convert and really like the SP. I have a basket case Eldo. I’ve never ridden an Eldo. Hopefully some day. I read the posts regularly, and think you would really enjoy an SP. Does Mark have an example you could ride? Just my limited experience opinion. The SPIII – I prefer the original SP. There’s one with 11K miles on the MGNOC classifieds for $2500. 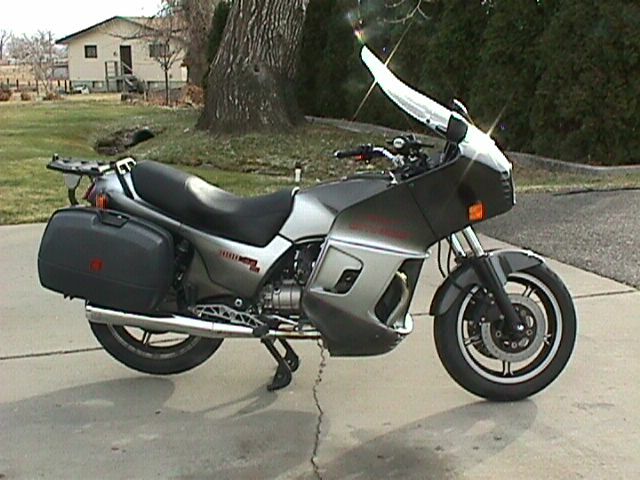 I’m still in the reliable commuter camp with a Jap bike, like the Kawi Concours. You know Guzzi’s but with Jap stuff is maintenance free. Just ride the friggin’ thing. But it cheap and unload it when you’re done with it – for the same or more money than you paid. Then if you want another Guzzi, buy one; they are certainly easier to buy than to sell. I can give you the name of a good shipper that I’ve used for bike transport; he’s reliable and has very fair rates. To get the SPIII from Montana may cost you around $400, door-to-door. If you must have a Guzzi as a commuter, I’d go for the Breva. The older stuff is OK to putter around with, IMO. I would think you could find an 1100 Breva for not more than $6K. Gorgeous V11, the one at the top. Would this Norge be fit in your (slightly amended) budget?